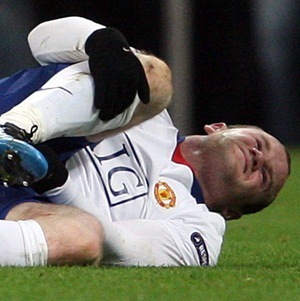 To sum up: United played crap, Wayne Rooney left on crutches. Not good, from any angle except Louis van Gaal’s dugout. However, to put a red gloss on it (United red, I mean), the English champions only lost to a late goal, away from home, and they played arguably their worst match of the entire season. So it’s not such a bleak outlook. For their part, Bayern dominated the second half and deserved to win – and they did it without star wingers Arjen Robben and Bastian Schweinsteiger. Still, Rooney’s early goal – comedy marking by Bayern in the box – means a 1-0 home win at Old Trafford would be enough for United to progress, and with Edwin van der Sar in glorious form, and Vidic and Ferdinand restored, I can see that happening. But there’s no doubt the tie is in the balance. I’d say it’s 55-45 in United’s favour. What do to about Gary ‘Hands Up’ Neville though? He was United’s obvious weak link and Bayern knew it. Neville can’t be risked in big games anymore, but neither does Fergie have good enough cover at RB. Needs sorting this summer at the latest. I have to chalk the loss up to Fergie, though. Up 1-nil away from home and you take two players that defend well off for Valencia and Berbatov??? What was he thinking? 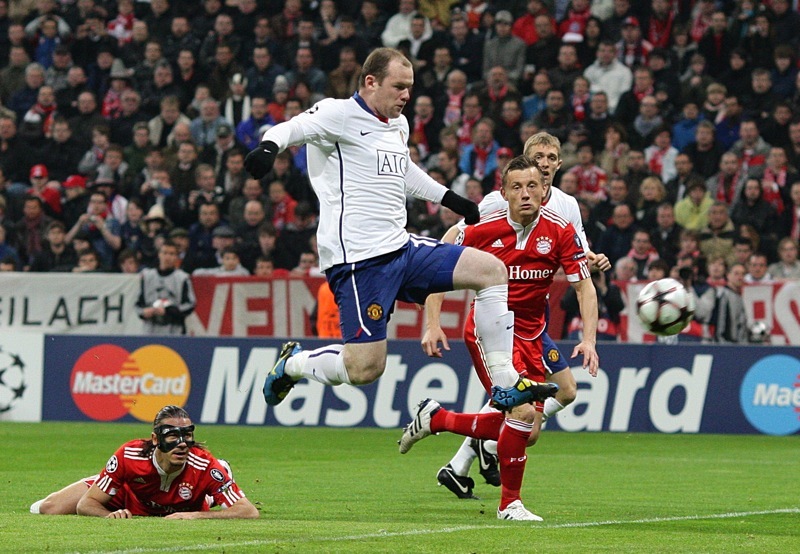 Granted, the score ought to have been 1-1 if Evra hadn’t decided to go brain dead for just long enough to give the ball away to Bayern’s best finisher in the box.